Book lovers, we’ve scoured the internet to find you the best in free and cheap books—everything from Max, now a major motion picture, to an Outlander novella, to Lemony Snickett! 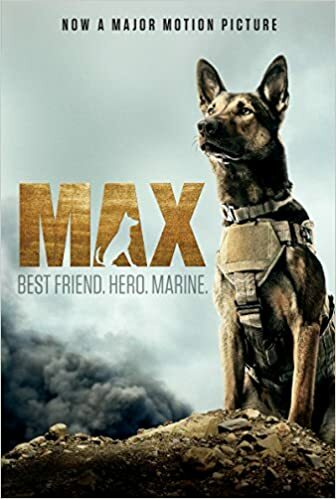 “Now a major motion picture, this movie novelization tells the story of a canine hero. When Justin’s older brother, Kyle, is killed in Afghanistan, Justin can’t believe that his brother is really gone. Except there’s one thing that Kyle left behind. “This eponymous comic became an instant hit when it went live on The Oatmeal.com and was liked on Facebook by 700,000 fans. Now fans will have a keepsake book of this comic to give and to keep. In My Dog: The Paradox, Inman discusses the canine penchant for rolling in horse droppings, chasing large animals four times their size, and acting recklessly enthusiastic through the entirety of their impulsive, lovable lives. 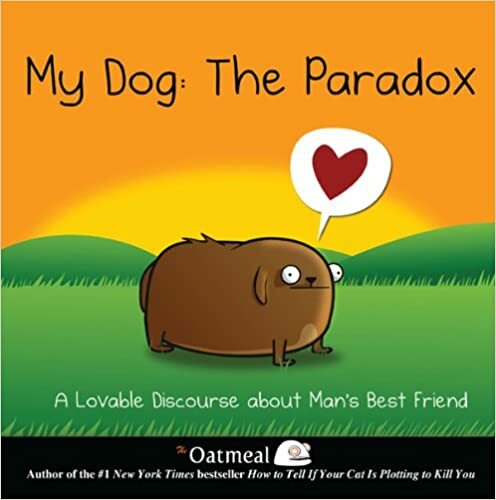 Hilarious and heartfelt, My Dog: The Paradox eloquently illustrates the complicated relationship between man and dog. 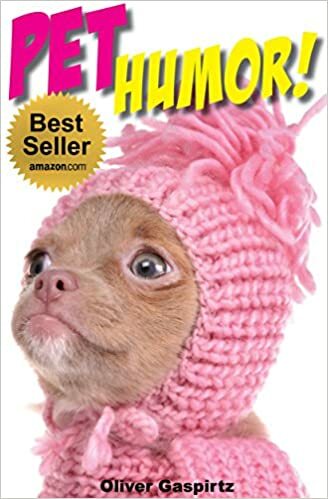 “The perfect gift for pet lovers! Hilarious cartoons about dogs, cats, birds and more. Touching and cute true stories about amazing pets. Pet trivia and weird, bizarre and unusual facts. I’m sorry to say that the book you are holding in your hands is extremely unpleasant. It tells an unhappy tale about three very unlucky children. Even though they are charming and clever, the Baudelaire siblings lead lives filled with misery and woe. 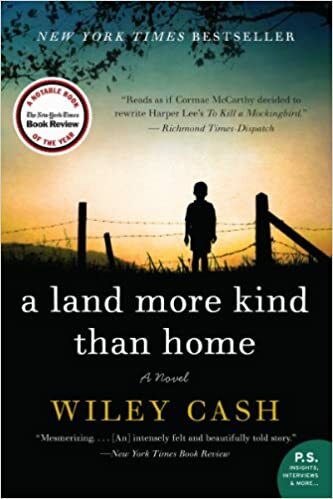 From the very first page of this book when the children are at the beach and receive terrible news, continuing on through the entire story, disaster lurks at their heels. One might say they are magnets for misfortune. 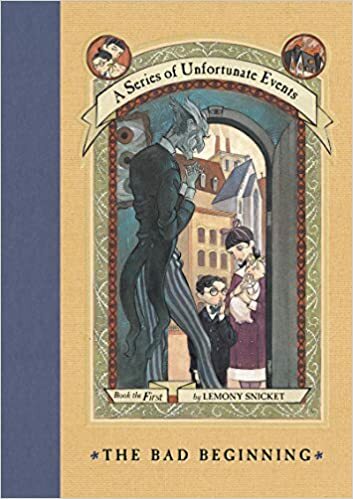 In this short book alone, the three youngsters encounter a greedy and repulsive villain, itchy clothing, a disastrous fire, a plot to steal their fortune, and cold porridge for breakfast. 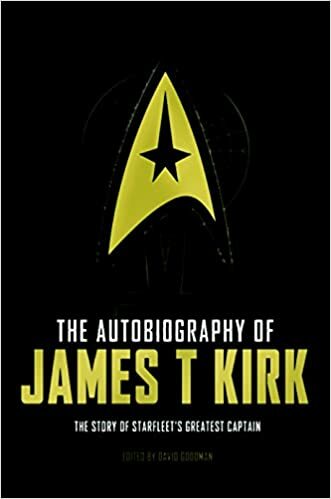 It is my sad duty to write down these unpleasant tales, but there is nothing stopping you from putting this book down at once and reading something happy, if you prefer that sort of thing. 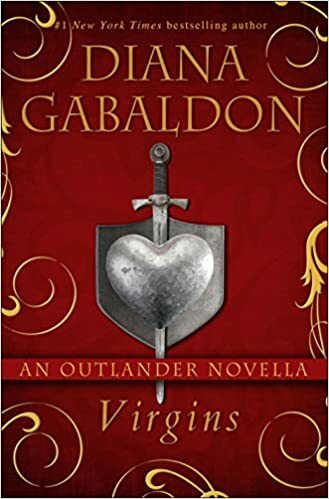 “A young Jamie Fraser learns what it really means to become a man in this Outlander prequel novella. Featuring all the trademark suspense, adventure, and history of Diana Gabaldon’s #1 bestselling novels and the Starz original series, Virgins is now available for the first time as a standalone ebook. 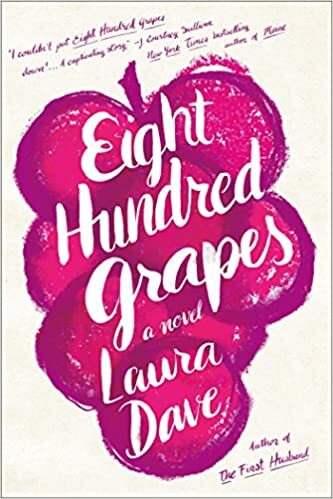 “Heralded as “impossible to put down” (Elle), and named a Best Book of the Summer by Glamour, Good Housekeeping, Cosmopolitan, Elle, Marie Claire, and Us Weekly, Eight Hundred Grapes is a heartbreaking, funny, and deeply evocative novel about love, marriage, family, wine, and the treacherous terrain in which they all intersect. There are secrets you share, and secrets you hide. What if your beloved fiancé, he of the crinkly smile and irresistible British accent, had kept a life-changing secret from you? And what if, just a week before your dream wedding, you discovered it? Georgia Ford, bride-to-be, hops in her car and drives through the night, from Los Angeles to Sonoma, to her safe haven: her family, and the acclaimed family winery. Georgia craves the company of those who know her best, and whom she truly knows. Better yet, it’s the eve of the last harvest—the best time of the growing season, and Georgia knows she’ll find solace—and distraction—in the familiar rituals. But when Georgia arrives home, nothing is at all familiar. Her parents, her brothers, the family business, are all unrecognizable. It seems her fiancé isn’t the only one who’s been keeping secrets. 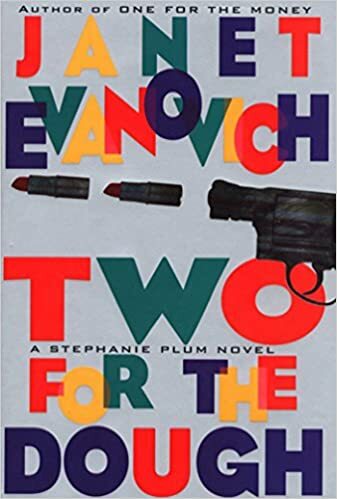 “It’s Stephanie Plum, New Jersey’s ‘fugitive apprehension’ agent (aka bounty hunter), introduced to the world by Janet Evanovich in the award-winning and bestselling novel One for the Money. 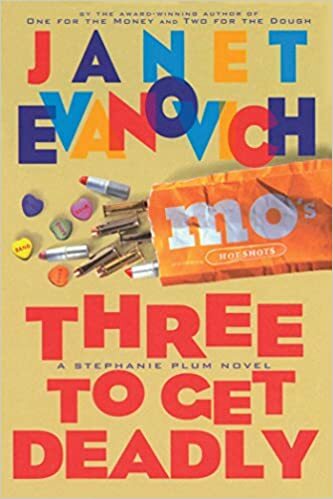 Now Stephanie’s back, armed with attitude—not to mention stun guns, defense sprays, killer flashlights, and her trusty .38. Stephanie is after a new bail-jumper, Kenny Mancuso, a boy from Trenton’s burg. He’s fresh out of the army, suspiciously wealthy, and he’s just shot his best friend. With her bounty hunter pal Ranger stepping in occasionally to advise her, Stephanie staggers knee-deep in corpses and caskets as she traipses through back streets, dark alleys, and funeral parlors. And nobody knows funeral parlors better than Stephanie’s irrepressible Grandma Mazur, a lady whose favorite pastime is grabbing a front-row seat at a neighborhood wake. So Stephanie uses Grandma as a cover to follow leads, but loses control when Grandma warms to the action, packing a cool pistol. Much to the family’s chagrin, Stephanie and Granny may soon have the elusive Kenny in their sights. Fast-talking, slow-handed vice cop Joe Morelli joins in the case, since the prey happens to be his young cousin. And if the assignment calls for an automobile stakeout for two with the woman who puts his libido in overdrive, Morelli’s not one to object. “Stephanie Plum, the brassy babe in the powder blue Buick is back and she’s having a bad hair day—for the whole month of January. She’s been given the unpopular task of finding Mo Bedemier, Trenton’s most beloved citizen, arrested for carrying concealed, gone no-show for his court appearance. “Most people know Penny Marshall as the director of Big and A League of Their Own. What they don’t know is her trailblazing career was a happy accident. In this funny and intimate memoir, Penny takes us from the stage of The Jackie Gleason Show in 1955 to Hollywood’s star-studded sets, offering up some hilarious detours along the way. 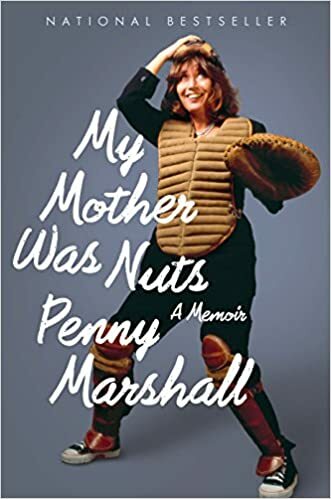 My Mother Was Nuts is an intimate backstage pass to Penny’s personal life, her breakout role on The Odd Couple, her exploits with Cindy Williams and John Belushi, and her travels across Europe with Art Garfunkel on the back of a motorcycle. We see Penny get married. And divorced. And married again (the second time to Rob Reiner). We meet a young Carrie Fisher, whose close friendship with Penny has spanned decades. And we see Penny at work with Tom Hanks, Mark Wahlberg, Whoopi Goldberg, Robert De Niro, and Whitney Houston. “At 17, Layla Weston is already starting over. 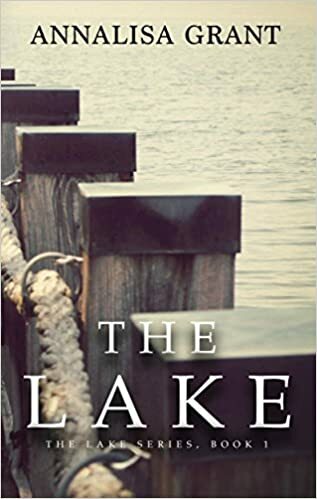 Having lost both her parents and grandparents, and with nowhere else to go, Layla is moving from Florida to a small town in North Carolina to live with the only family she has left: her estranged uncle and aunt. The last five years of Layla’s life were spent appeasing her less-than-loving grandmother, followed by being her grandfather’s caretaker. Growing old before her time, Layla lost her identity. Now she must learn how to allow herself to be the one cared for and loved.